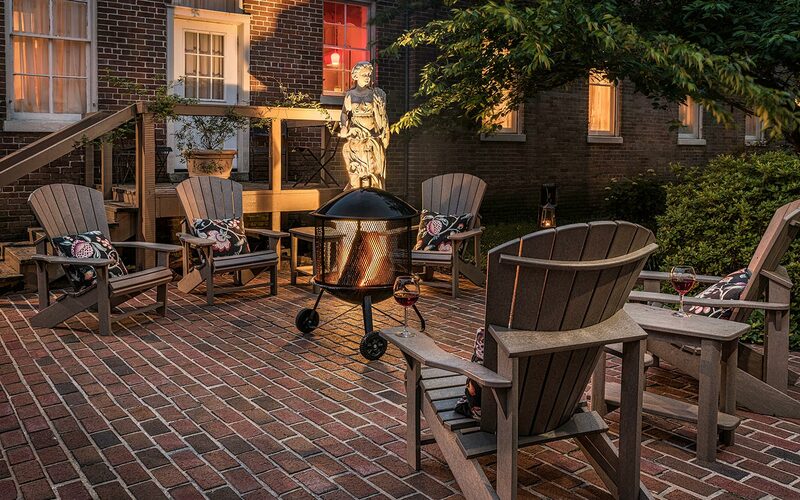 The Inner Banks Inn is a romantic Edenton, NC bed and breakfast set on 2.75 acres in the historic district. 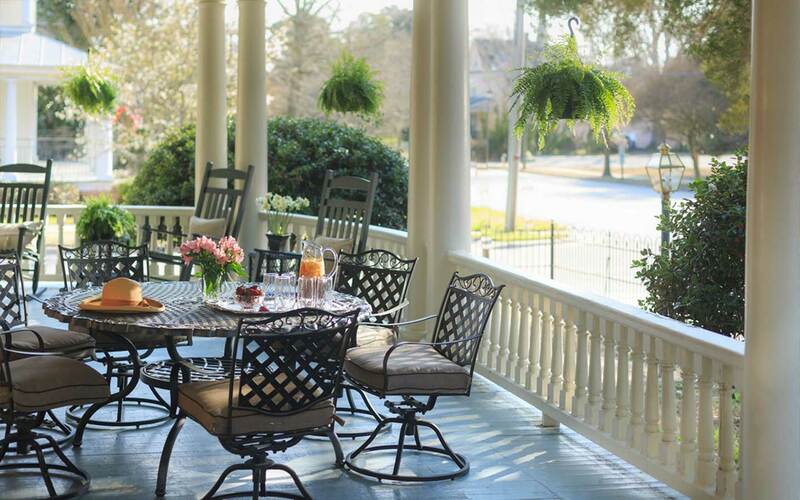 An easy stroll to the downtown and waterfront, this Select Registry Inn is a top rated Bed and Breakfast and Restaurant in TripAdvisor’s NC Coast Region. 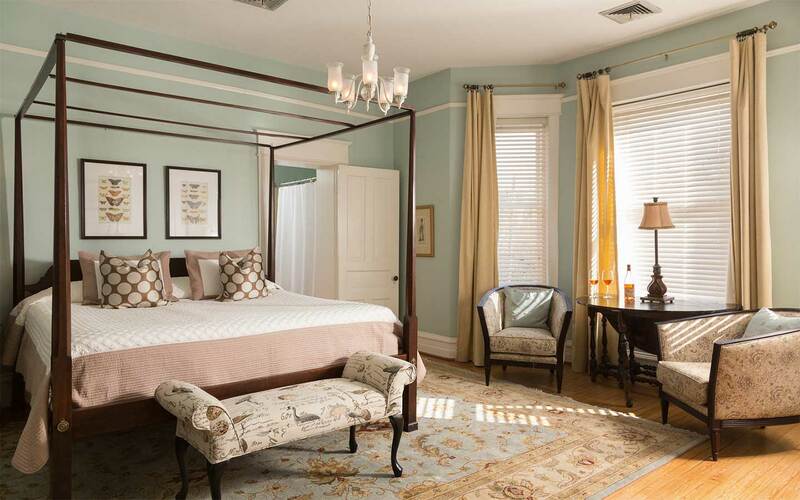 The historic inn has twenty rooms and suites, and offers unique lodging options, an amazing breakfast, award winning dinner service and picturesque grounds all in a peaceful and relaxed setting. Our full Southern breakfast offers entree selections, original heritage Carolina Plantation Grits, and locally sourced bacon and sausage. Guests are served breakfast in our charming converted carriage house restaurant, The Table at Inner Banks. 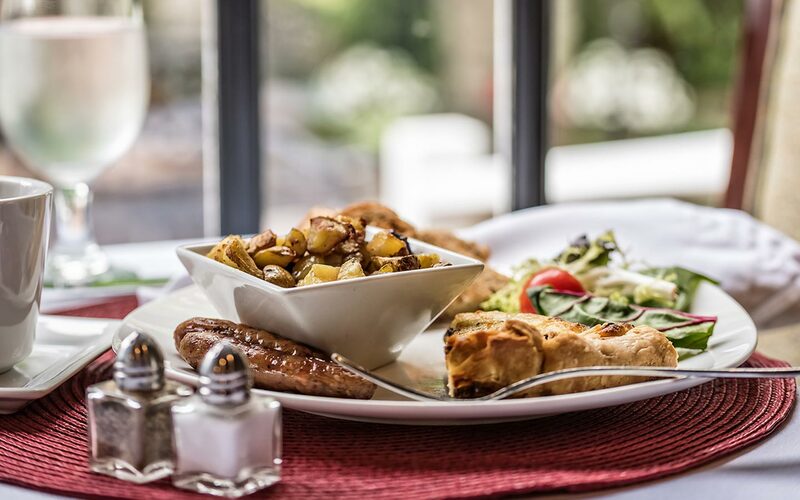 When you’re staying at Inner Banks Inn, there’s no need to travel to town to enjoy a fantastic evening meal. 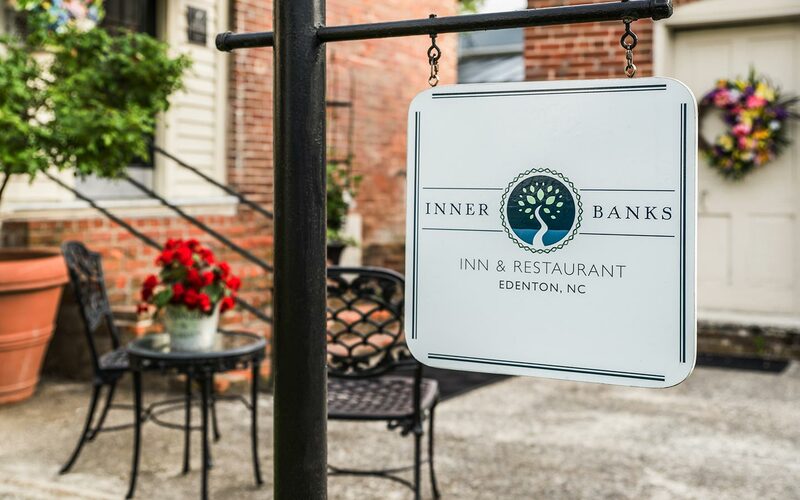 The Table at Inner Banks has been recognized as one of the top dining destinations in North Carolina. 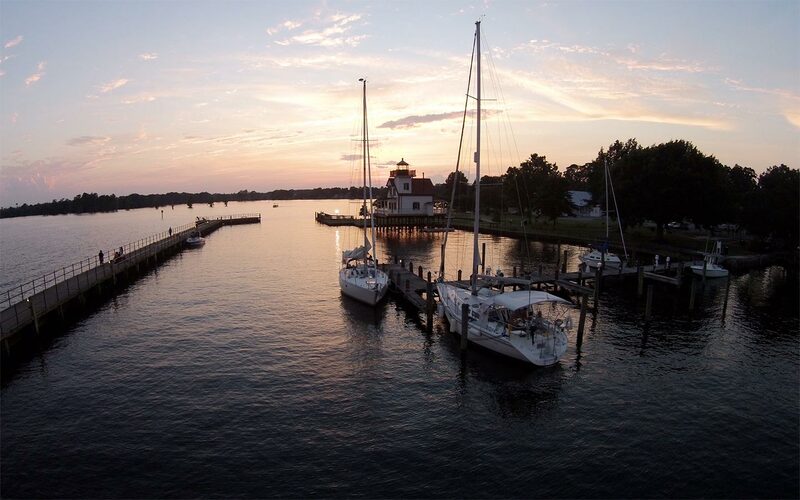 Our intimate Ocean • River • Farm to Fork™ restaurant has been named a “Best 25” of 2700+ restaurants in the NC Coast Region and the #1 Edenton restaurant in TripAdvisor since our beginning in 2015. The Table at Inner Banks is intimate and the menu changes daily. We encourage dining reservations shortly after booking your stay as many nights sell out quickly. Inn guests always receive priority when there is a waiting list. Dinner service days are subject to change and vary thoughout the season. 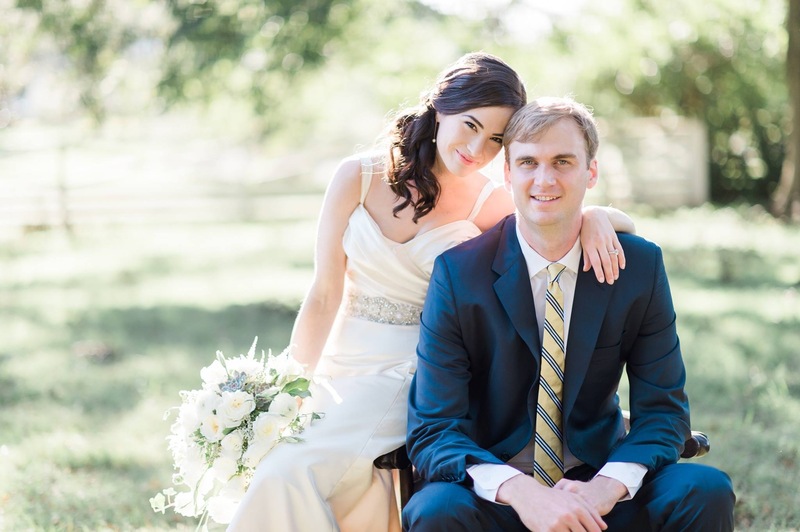 Have you found your soul mate and ready to say, “I do?” Our historic bed and breakfast is the perfect place for elopements and smaller weddings while our soundside retreat, Mulberry Hill on the Sound, is a stunning choice for larger events. 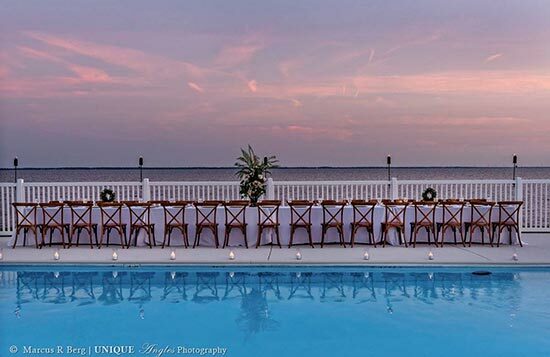 Regardless of size, we pair our Select Registry lodging, award winning cuisine and wedding planning professionals so your Happily Ever Edenton™ Wedding to be an all inclusive and stress free destination wedding of your dreams. 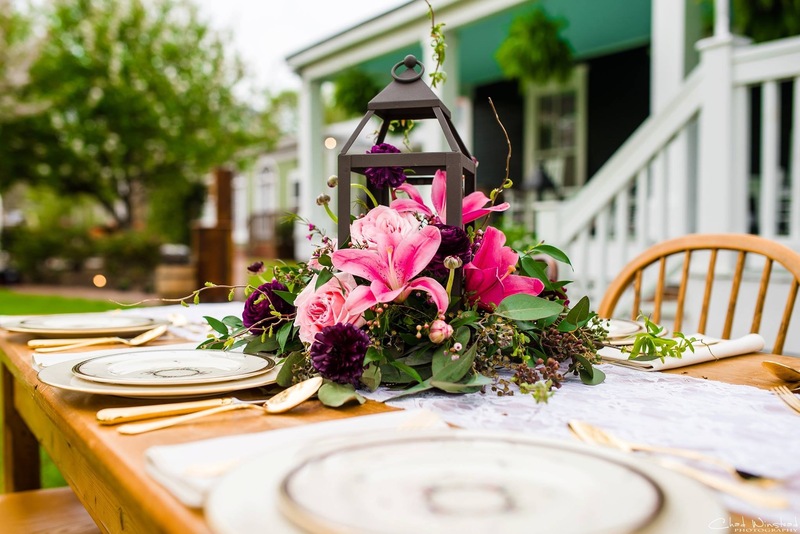 Whether you are joining us for a quiet romantic getaway in North Carolina or celebrating a special event, rest assured Inner Banks Inn will make it an experience to remember. 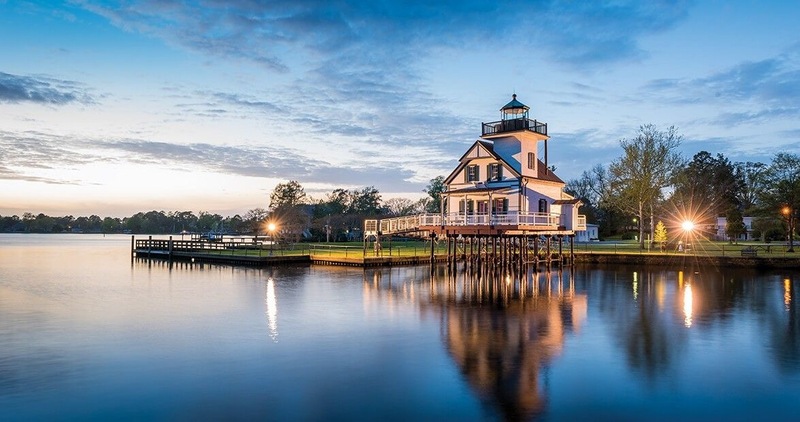 We look forward to having you join us at our beautiful bed and breakfast inn and restaurant in Edenton, NC, “Where Southern Hospitality Meets Historic Charm”. Inner Banks Inn Has it All!